Is my beauty blog popular? I've been pondering over this question for quite some time now and I have to say I'm not entirely sure whether it is or not. It's got to the point where I've really lost my mojo for beauty blogging and my own beauty side of the blog is slowly dying out! Misleading title aside, I thought I'd write about going about deciding to change your blog style and reasons why perhaps you should be considering it. I started beauty blogging when I was in school, so we're talking almost six years ago. I had a YouTube channel and it was doing quite well considering no one really watched YouTube back then. 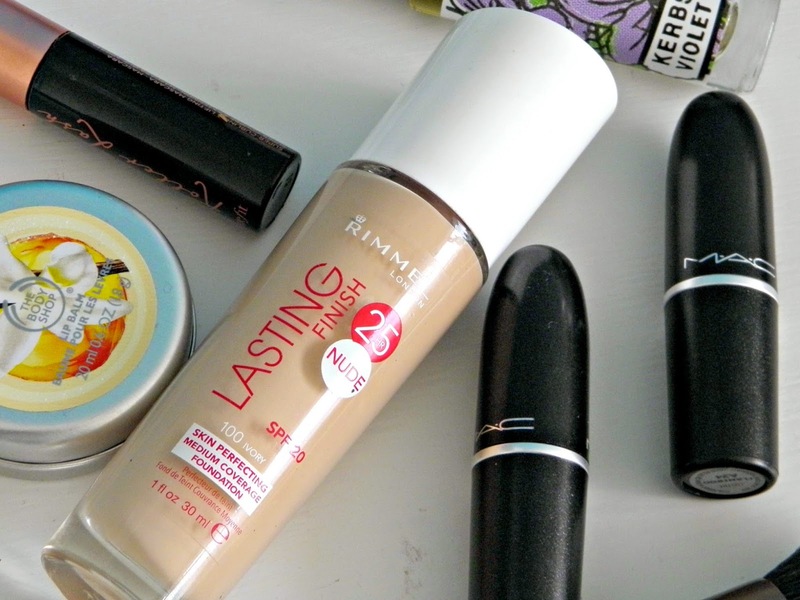 I had a long break but I missed beauty blogging and started again at uni (three years ago). Geek Gets Glam is kinda the pinnacle of my blogging career so far as it's been the thing I've been happiest with so far! When I started GGG, I always thought it would be a beauty and fashion blog. It turned out I'm rubbish at taking shots of clothes but I stuck with beauty, something I knew a lot about, and managed to get a lot of interest on my blog. I liked to write about products I'd been using and obsess over cosmetics with like-minded people. But now I have a bit of a problem... I'm bored of beauty blogging. I still love cosmetics and you're all aware of my Lush addiction but it's got to the point where I can't even bring myself to take a photo of a lipstick and write some words about it. To me, it's dull to write. And there are loads of other fabulous beauty bloggers who I could just tap into google and read their review of it (and it would probably be a better standard). I mean there are only so many things you can say about a lipstick, right? Some people live and breathe beauty and fashion blogging, just not me. My beauty blog is dead. Unsure on whether to 'give up' a certain aspect of your own blog? You have to consider what you're getting out of writing your blog. Most of us earn little to nothing from our blogs so it is mainly a hobby; what's the point in forcing yourself to write boring posts if you don't enjoy writing them anymore? The beauty of blogging is that it is your own space to do what you want in it but you have to please yourself before others because, if you don't, whats the point in spending all your free time doing something you hate? Maybe if you still love beauty blogging (for example) but feel like you've run out of ideas, mix up you blog a little. Write about fashion. Maybe alter your blog schedule so it's less frequently posting and therefore giving you chance to create new ideas. Just make sure you stick to what makes you happy and what you enjoy writing about! There are thousands of beauty blogs so grab the opportunity to write about something a bit more niche that you love. It will stand out in the crowd and you might discover you love blogging about it! Have you ever changed your blog's direction? I'd love to hear your thoughts in the comments below! I completely deleted my beauty blog and started a new one which features book reviews, travel posts, music posts and just anything I feel like writing about. I'm much more inspired! And these are the kinds of blogs I like to read, I don't really like reading beauty blogs that much. It's scary to sort of find a new audience, and I had nowhere near as many readers as you but I feel so much better about it. I feel a lot more inspired doing 'lifestyle' posts now. I only read a couple of beauty blogs that now, I mostly read lifestyle! I'm certainly enjoying not being restricted to beauty with this blog. With my previous blog it was all beauty and it did get a bit.. Stagnant. I took a year out and came back to blogging with this blog and I like writing more lifestyle posts. I of course still write beauty posts when I'm really 'in the mood' it loving a product, but I love my music/food/general lifestyle stuff too! When I started blogging I literally followed the crowd, I got caught up in the world of 'fashion blogging' and looking back I don't know why I put so much energy into something I wasn't really enjoying. I love fashion but fashion in the blogging world isn't really for me.